W. Kimryn Rathmell, MD, PhD, Cornelius A. Craig Professor of Medicine and director of the Division of Hematology and Oncology at Vanderbilt University Medical Center (VUMC), has been elected to the nominating committee of the American Society of Clinical Oncology (ASCO). ASCO was founded in 1964 by a small group of oncologists dedicated to improving research, education and care for cancer patients. It is now the world’s leading organization of its kind, with a membership of more than 40,000 oncology professionals. Groundbreaking new research with clinical implications for patients is unveiled each year during ASCO’s international cancer conferences. Members of the ASCO nominating committee help review the qualifications of industry-leading professionals to develop a slate of candidates for elected positions within ASCO, including the president-elect, treasurer, directors and new members of the committee. Rathmell will serve a three-year term on the nine-member committee. Rathmell is a genitourinary oncologist who specializes in treating patients with kidney cancer, also known as renal cell carcinoma. More than 60,000 patients are diagnosed with this type of cancer each year in the United States. She also operates a research laboratory focused on biological mechanisms that drive renal cell carcinomas. 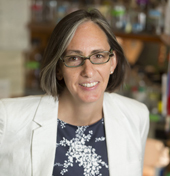 Her research uses genetic techniques to study tumor-initiating events and the development of invasive or metastatic features using in vitro, animal and human systems. This basic and translational research, all geared toward enhancing understanding of the genetics and molecular biology of kidney cancer, is folded into a clinical research program at VUMC and Vanderbilt-Ingram Cancer Center (VICC). Rathmell also holds a passion for research advocacy and mentorship of the next generation of medical researchers. She currently serves as the vice president of the American Society of Clinical Investigation and is a representative to the board for the Federation of American Societies for Experimental Biology. At Vanderbilt, she co-leads a K-12 program for clinical oncology researcher development. As an ASCO member, she has previously served on the ethics committee and a taskforce for early career development.